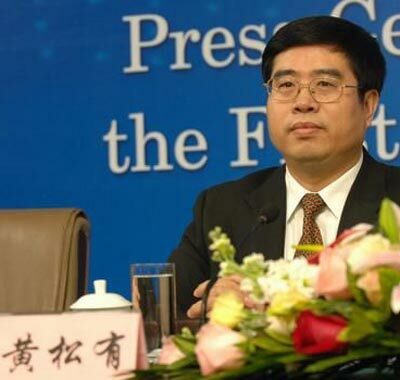 Huang Songyou, former vice-president of the Supreme People's Court, who was found guilty of taking more than 3.9 million yuan ($574,000) in bribes from 2005 to 2008, was sentenced to life, the Legal Evening News reported on Wednesday. The higher people's court of Hebei province affirmed the original sentence of Huang on Wednesday. Huang is said to be the highest-ranking official toppled in the judicial system since the founding of the People’s Republic of China in 1949.